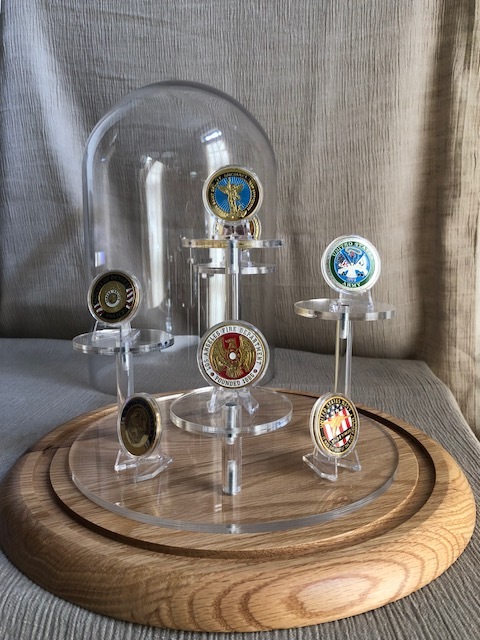 This beautiful challenge coin display cabinet has been designed specifically to highlight and protect your coins by one of our esteemed craftsmen and is available in two sizes, a 12 coin size and a 20 coin size. 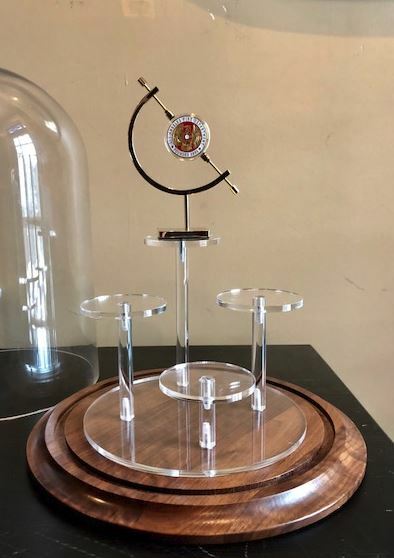 While most cabinet style display cases are designed like shadow boxes, literally casting a shadow on what you want to display, this coin display case has been created with clear glass on all sides to ensure that your items are illuminated with just the natural light in the room. 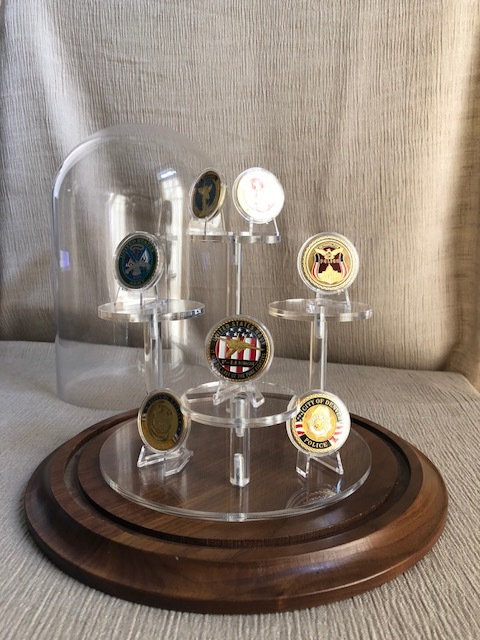 No additional lights will be necessary to view your challenge coins while they remain protected inside this hand built case. The 12 coin display case has 3 shelves that can hold up to 4 two inch coins each and the 20 coin display case has 4 shelves which can hold up to 5 two inch coins each. 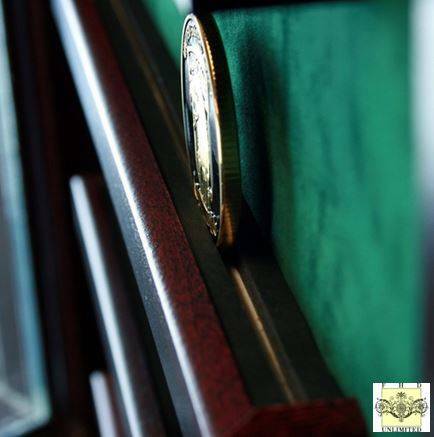 Each shelf has two layers of foam to create the perfect sized slit for your coins to securely rest in. The 12 coin case measures 14" wide x 14"" high x 1.5" deep while the 20 coin case measures 15.5" wide x 17" high x 1.5" deep. 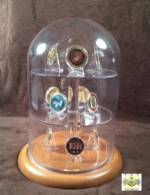 Each display case is hand crafted with real UV protected glass and real wood moulding. 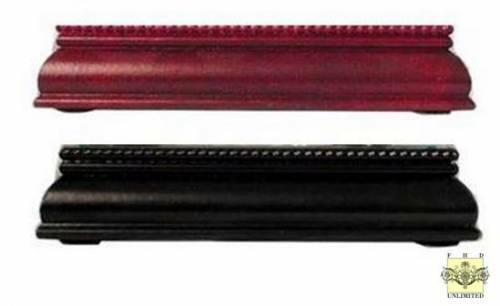 Frame moulding is available in two different finish colors, black or cherry, while suede background is available in a variety of colors. Note: Challenge coins not included. Case is custom made at the time of order and can take several weeks to build and ship. 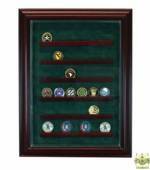 For larger coin collections, take a look at our Large Challenge Coin Display Case for 64 or 90 coins. Thanks for helping me select the perfect challenge coin case for my commanding officer who was retiring. He loved it...actually, everyone at his ceremony loved it too!